The engine has 1,104 hours of use. Per the owner, he has always changed the engine oil and had the bottom painted A gas sniffer alarm system and automatic fire extinguisher were recently installed in the engine compartment. 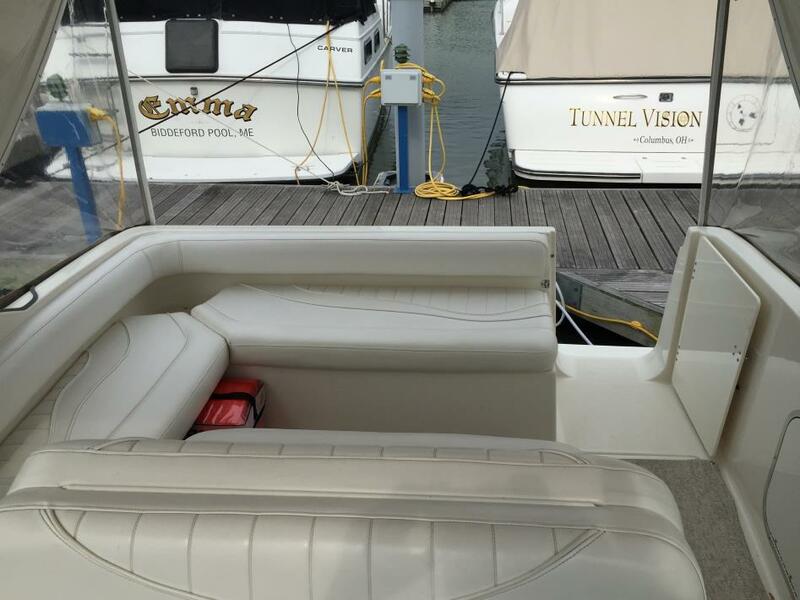 The current owner has taken excellent care of the boat and has added these extra features: new stereo system with controls from three different locations and remote, extra 12v and USB ports, new canvas, snapless carpet, and upholstery. There is water staining on some cabin headliners, see pictures for details Overall good condition with normal wear and tear for its age. There are a few nicks and dings in the gel coat as seen in the pictures. The trailer tires are 7 years old with good tread as they the trailer has been used very little. See pictures with DOT stamp for condition. Owner states all systems and equipment work as they should. 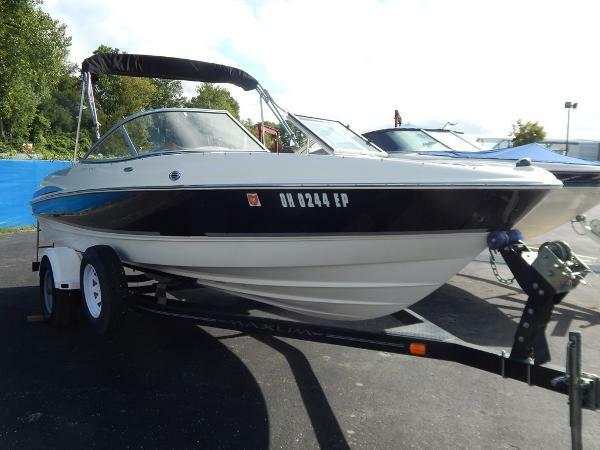 Stock #174541 2700SCR Express Cruiser powered by a 7.4L Mercruiser, Bravo Three Outdrive If you are in the market for an express cruiser, look no further than this 1990 Maxum 2700 SCR, priced right at $18,750 (offers encouraged). 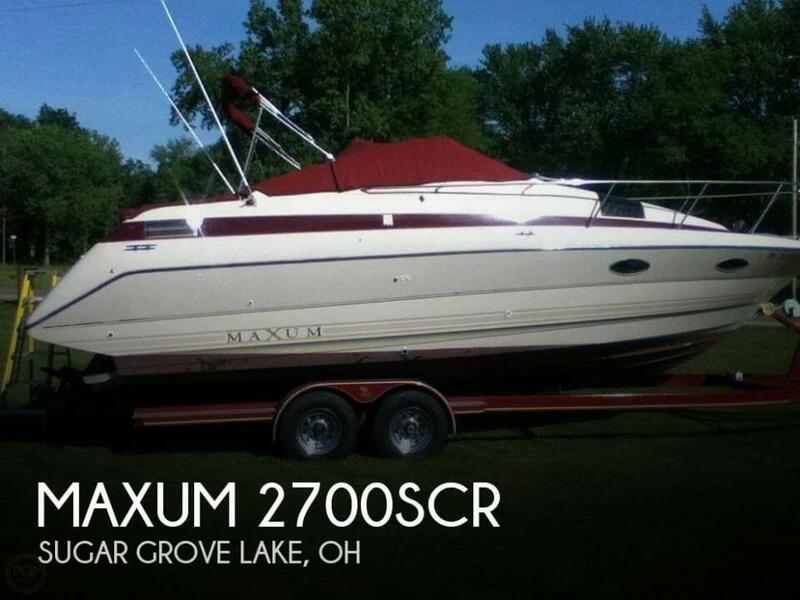 This boat is located in Galion, Ohio and is in good condition. She is also equipped with a Mercruiser engine that has 1,104 hours. 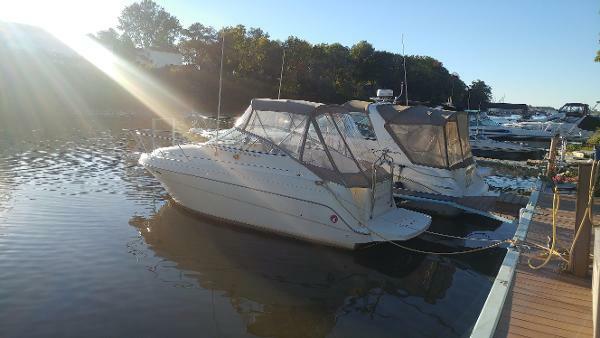 Reason for selling is bought another boat. 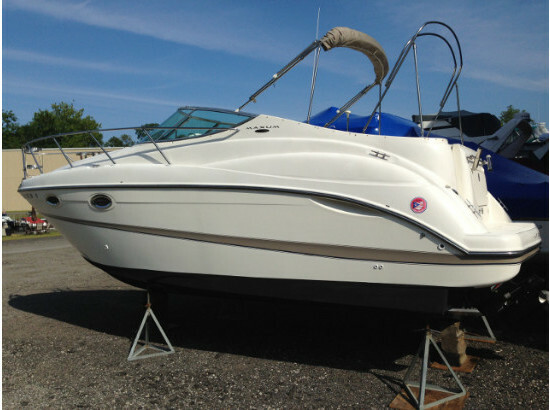 Boat is in good condition, has been out of water for a while, and the seller is motivated. Engine rebuilt 2015. Needs some repairs to the upholstery. 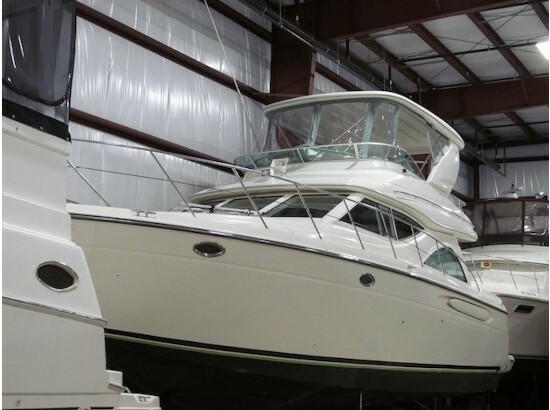 According to the boat's owner, all of the boat's features are in great operating condition. All it needs is thorough cleaning and ready to go Stock #132613 Maxum 2800 with a big block motor professionally rebuilt. Low Hours on new engine, Ready to cruise the water in style. 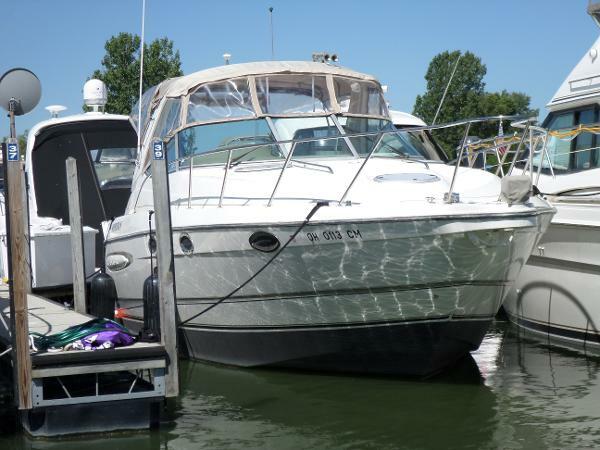 If you are in the market for an express cruiser, look no further than this 1999 Maxum 2800 SCR, just reduced to $16,990 (offers encouraged). 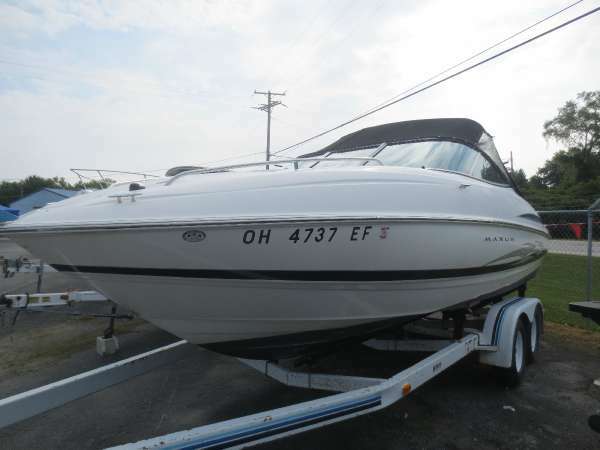 This boat is located in Saint Paris, Ohio and is in decent condition. She is also equipped with a Mercruiser engine that has 355 hours. Reason for selling is family growing up, too busy with kids sports on the weekend. 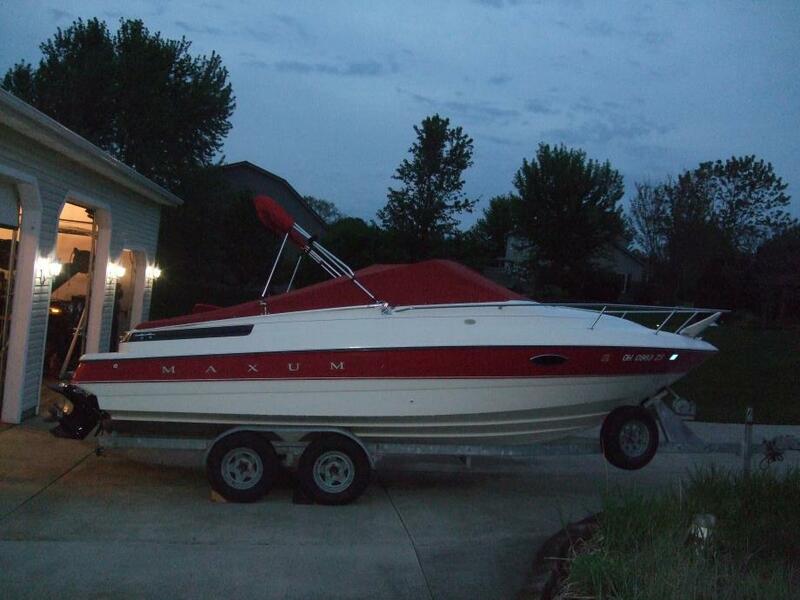 2006 Maxum 3100 SE This Maxum 3100 SE is a fresh water boat that has been pampered since new. It is fast with top speed of 40 mph, and cruising speed of 32 mph. It is powered by twin MerCruiser 5.7L Bravo III drives with 2 x 260 horsepower, dual three-bladed props and only 265 hours. The overall length is 32' and broad beam is 10'6". It has a first rate helm, wide swim platform, and comfortable companion seating which converts into a sun lounge. The high radar arch adds function to style with lighting and sound system speakers built-in. The cabin is bright and airy and is fully equipped with AC/Heat, full galley, and full head with Vacuflush. The spacious layout with sleeping for up to 4 adults is perfect for long weekends away with the kids or friends. 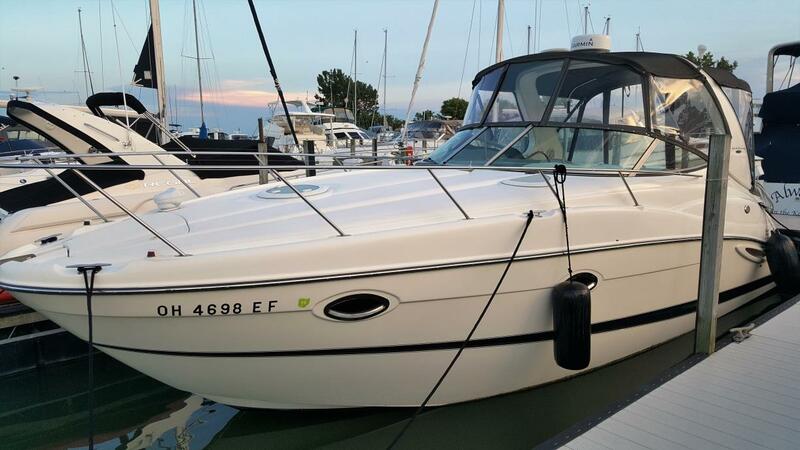 Maxum is a Brunswick Corporation brand who also manufactures Sea Ray and Bayliner. 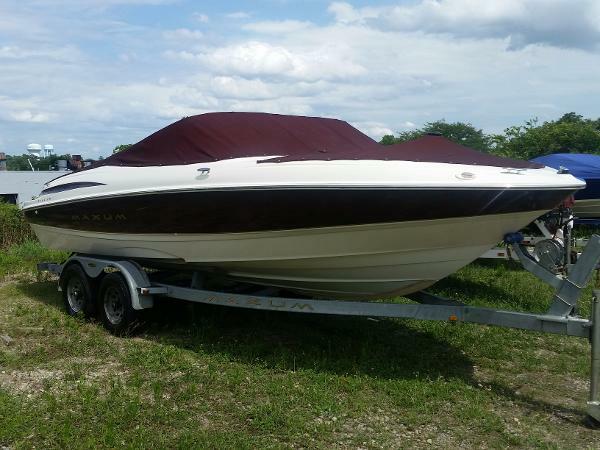 2000 Maxum 2800 SCR 2000 Maxum 2800 SCR This boat is turn key & ready to enjoy. It's powered by a single 310 HP Fuel Injected 7.4L Mercruiser with a Bravo III outdrive. Outdrive rebuilt by Dubbert's Marine. Outdrive has 2 new 4 blade counter rotating stainless steel props. It also comes with a spare set of stainless steel props. Included in price, 2005 LOADMASTER TRIPLE AXLE ALUMINUM TRAILER. This Maxum is loaded with everything you would need. New 6 gal. hot water tank, remote controlled spotlight, 2 marine batteries. Comes with Lowrance HDS-5 GPS, chart-plotter, fish-finder & structure scan. Comes with new Sunbrella and Strataglass enclosure and cockpit cover, dash cover, snap in cockpit carpet, all lines & fenders. Notice the picture with the back to back seats? They lay flat for a sun pad. Cabin is stocked with a fm/am cd stereo, microwave, A/C, 2 burner stove, full size bed in aft cabin, a large v berth bed & dinette table converts into a bed providing enough space to sleep 6! Has shore power (2 cables), water & cable hook up. All safety equipment included. Replaced plugs, wires, cap, rotor the end of last season. Fresh bottom paint last season. Engine oil and filter changed before it was put into heated storage. Bellows and impeller have 1 season on them. Passed 2015 Coast Guard safety inspection it will pass inspection now. This is a very nice boat! Serious inquires only, there will be no joy rides! All this for only $30,900! 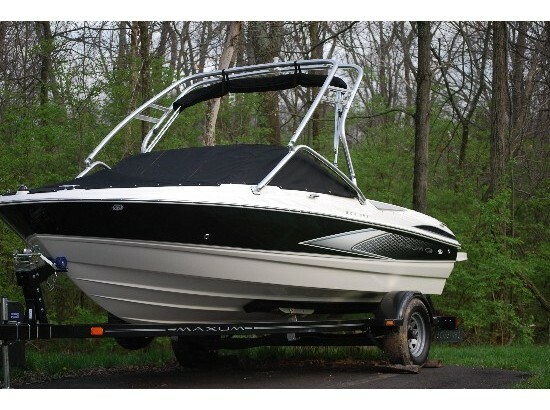 2007 Maxum 2000 SR3 This nice 20 foot bowrider has a lot of room and looks good! It is powered by a 5.0 MPI (260 hp) engine and comes with a single axle trailer. It also has a bow and cockpit cover, bimini top, snap-in carpet, depth finder, CD stereo, and tilt steering wheel. A big feature is the extended swim platform with pad. It also has a stereo remote on the helm and stern. This is a nice first time boat! Call or e-mail us for details! WE WILL CONSIDER ANYTHING IN TRADE! 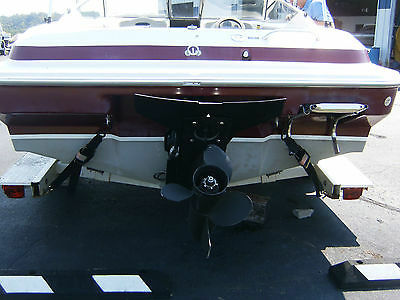 2001 Maxum 2100 SR 2001 Maxum 2100SR Bowrider powered by a 5.0L 220hp Mercruiser with an Alpha I drive. Features include: Bimini Top, Snap in Cockpit Carpet, Bow and Cockpit Covers, Back/Back Folding Seats, Glove Box with Cooler, Tandem Axle Galvanized Trailer with New Brakes, New Bearings. 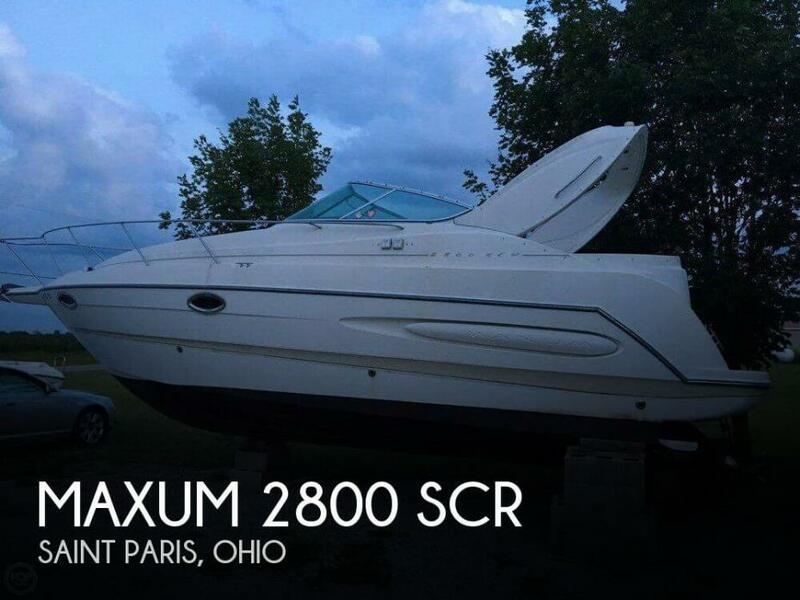 2000 Maxum 3300 SCR 2000 MAXUM 3300 SCR, PRICE JUST REDUCED ON 7/19/2016!! This is a fresh water enjoyed boat since new. NEW BOW THRUSTER JUST INSTALLED!! Approx. 320 original hours. Owner motivated to move this boat now. Twin Mercruiser 350/300 MPI Magnum's with Bravo III stern drives and duo stainless steel props.The cabin sleeps 6,a roomy V-berth, a drop down dinette also used as a double berth and a spacious aft cabin that you can actually stand up in!.The interior has light neutral colors with a small portion of light oak flooring adding to the elegant interior. Some notable features but not limited to include: a windlass, bow thruster reverse cycle air and heat, Vac-U-Flush head, stand up shower, 6 gallon hot water tank, wet bar in the cockpit with sink, AC/DC refrigerator, microwave,JVC stereo system with CD and speakers through out the entire cockpit and cabin,Corian counter tops, bimini top, aft curtain, dock side water inlet, 2 transom "trunks" that hold 4 fenders out of sight,2 burner alcohol/electric stove top, remote spotlight, bow sun pad, 2 wipers, trim tabs,RayMarine VHF, RayMarine RC 520 GPS/chartplotter, folding passenger seat at the helm, rear cockpit seating, transom door, integrated swim platform, 2 battery safety switches, battery charger, snap in cockpit carpet and more! There is a June 10th, 2013 survey available upon request. She is in above average condition inside and out and shows extremely well. There is a lot of boat here for the money.